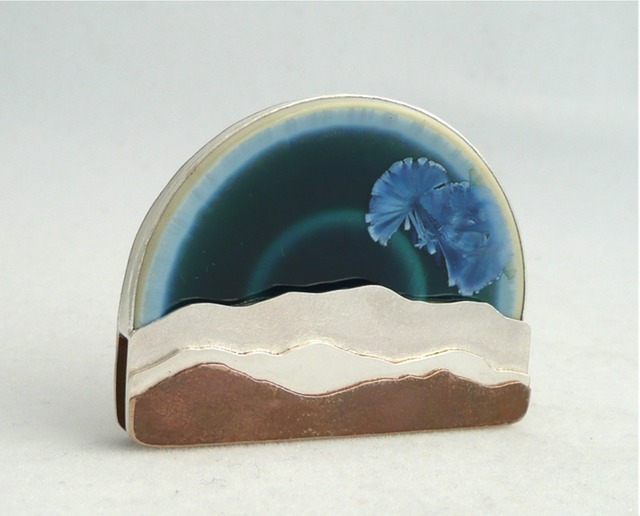 “Horizon” sweat-soldered bronze and sterling silver, crystalline porcelain cabachon by Alexis Templeton. 2.5” x 2”, 2013. Sold.